VPN stands for Virtual Private Network and you probably heard it before or it’s also possible that you have used one before. VPN allows you to send and receive data over a network in a way that is private, secure and anonymous. You can use the internet without other people knowing what you are doing like Hackers, your School or College or even your Internet Service Provider (ISP). VPN creates a secure tunnel between the device and the server you’re connecting to and in the background they encrypt all the data you are sending to the server and receiving back from the server. Your ISP gives you an IP so your computer connects access to the DNS with a URL coordination by the ICANN, but the important thing here is the normal internet user doesn’t care about these things at all. If you are one of them, it doesn’t necessary for you to know all these things but the one thing you should know about is the VPN. When using a VPN all your data is encrypted so your ISP can’t see what you are doing also the websites you visit cannot see your actual IP address which might lead to the track of your physical address instead the websites see the VPNs IP address because all the data is being rerouted through the VPN tunnel. Why you should use a VPN App on your Android device? Previously VPNs were used by businesses when the companies needed to have a secure connection between their networks. This will prevent the risk of hacking or loss of data but nowadays VPNs are used by everyone because it keeps your locations private, your incoming and outgoing data is encrypted so at the end you can surf the web anonymously. Here are some of the reasons for which you might consider using a VPN App on your Android device. 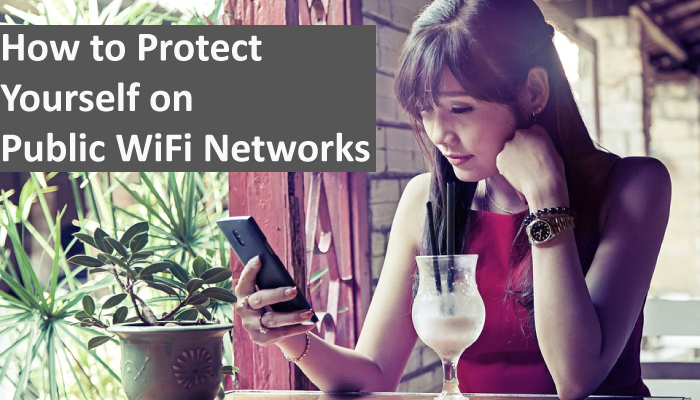 If you use a public wifi hotspot like the one at a Hotel or restaurant which as an unsecured connection and can be easily hacked. This will not take them long to capture all your data since you both are connected to the same network. If you don’t want everybody else connected in the same Wifi network to be able to sniff through your data and personal information. Now next time you go to a cafe or restaurant to send an important email consider using a VPN while being connected to those wifi connections, all your data is encrypted so just in case anyone is spying on you can only see a pile of encrypted data which doesn’t make any sense. Sometimes when you are trying to access a content that is blocked by your ISP or Government or is Unavailable in your country this is a form of internet censorship, the VPN will come in handy. While using the VPN you can reroute the traffic through another country where the content is available. Recommended: How To Access Blocked Websites & Bypass/Unblock Them? Let’s take an example if you are in India and looking for a content which is only available in the Philippines now with the VPN you can set the region to the Philippines and can access the content just like if you are actually living in the Philippines which is pretty awesome, isn’t it?. There are over 300 VPN providers available but we are going to shortened the list and provide you the best VPN apps for Android. All of these VPN provides great performance, Speed, reliability and good customer service. The common things in all 10 VPN we listed are that they have lots of servers worldwide, all of them has a money return policy, they allow access with at least 3 devices and they all allows to access geo restricted contents. HideMyAss or HMA is a member of Avast family and delivers consistent server speeds. HMA has over 400 Million users across the world. HideMyAss provides overall privacy and protection with the latest OpenVPN protocol and encrypted options. HMA gives you a free trial of 30 days and their basic plan starts at $12 monthly. HMA has server reach across 6 continents with over 860 servers in 280 locations across 190 countries this makes HMA delivers pretty consistent browsing speeds. HMA VPN is available across the platform like Windows, Mac, iOS and Android devices so you can use the single account in any of your devices. Unfortunately, HMA only allows not more than two devices connected at the same time. ExpressVPN is a premium VPN which outperforms other VPNs in terms of speed and servers. ExpressVPN offers strong encryption and a premium set of Privacy features such as VPN kill switch. It has ultra-fast 2000+ VPN servers across 94 countries with fast connections, Unlimited bandwidth, and no throttling. ExpressVPN is available across the platform like Windows, Mac, iOS, Android, Linux and routers and has 256-bit AES encryption, DNS/IPv6 Leak protection and split tunneling. Buying ExpressVPN for a single month will be expensive as $12.99 but if you plan to buy it for an extensive period of time like a 15-month package then it will cost you only $6.67 which is really a great value for money package. NordVPN is secured with OpenVPN tunneling protocol and AES 256-bit encryption and offers double data protection. It also doesn’t keep any user logs as clearly stated on their website. IPVanish is one of the popular VPN out there which offers 40,000+ shared IPs and 1100+ VPN servers in 60+ countries. The best thing about IPVanish is it allows you to connect to 10 devices at once at the same time. Some of its features include Unlimited bandwidth, 256-bit AES encryption, Zero traffic log, Anonymous torrenting, Unlimited P2P traffic, SOCKS5 web proxy. The few downsides of IP is that it keeps some logs and is a bit expensive. It is also blocked by Netflix and no longer supports IP cycling switching. VyprVPN is a Switzerland based popular VPN provider which has over 1 million users across the globe. Vypr has a large network of 700+ servers in more than 70 locations. The features include unlimited data usage, a zero-knowledge DNS service, a customized protocol to help bypass VPN blocking. VyprVPN protects your privacy with best protocols and encryption like 256 bit and 160-bit OpenVPN support With a wide variety of support for platforms Windows, Mac, IOS, Android along with popular devices like routers, QNAP, Anonabox, and Smart TVs. The base plan starts at only $5 a month if bought for 12 months. TunnelBear VPN provider allows a free and Paid usage of its VPN services. However, The free user is limited to a 500MB/month data bandwidth. TunnelBear uses industry standard strong OpenVPN protocol with 256-bit AES encryption. It allows secure for Torrenting, Tor and is independently audited for security allowing you to connect to 5 devices at once simultaneously. The Plans starts at $9.99 per month if bought monthly and goes down to $4.99 if bought for a year. The pros include No logging, No leaks, Anonymous IP, and, Kill Switch. TunnelBear also has some cons like Slow speed problems and is also blocked by Netflix. Hotspot Shield is a feature-packed VPN with Wifi security, Privacy protection and much more. Currently, Hotspot Shield has over 605 million users. Some of the main features include unblocking websites – it will help you unlock Facebook and YouTube is blocked at school or work. Anonymous surfing, Hiding your IP address Private and secure browsing, and, malware protection. Hotspot Shield has over 2500 servers in 25 different countries. It has also proved to be one of the most effective at hiding data and reducing the risk of data leak by using 128 bit AES and 256-bit encryption. The jurisdiction is based in the USA and allows you to connect 5 devices at the same time. The fast Hotspot Shield VPN has a wide variety of support from Windows to Mac to Android and also gives you a 7 days trial. Betternet VPN is a free VPN which works across major platforms for free without showing irritating ads or keeping the logs from users. It helps you access blocked websites and bypass internet censorship and firewalls. It also changes your IP address and hides your real location and secures your connection by encrypting your data. The best thing we like about Betternet VPN is that you don’t need to register an account. You can just install the VPN app and connect it in one click. It supports Windows, Mac, iOS, and Android. The Betternet VPN also has a Premium service which gives you the option of server selection, extra IP choice, better connection speed, and stability. Some of the main features are – peer to peer connection access blocked contents and five connections simultaneously. Hideman VPN is a lesser-known UK based VPN Provider which allows you to remove restrictions and access any blocked website, games and other services without speed and bandwidth restrictions. It allows 7 hours of free access for new users and 1 hour free each day which is great. It is available for Windows, Android, IOS, and Mac and a single account can be used simultaneously on 4 accounts. It provides reasonable speed with a free plan and no registration. The encryption used here is 256 bit and Hideman VPN will hide your real IP and protect your personal data by using strong encryption. It is available in 22 different countries including USA, UK, Singapore, Russia, Australia. and at an introductory price of $2.9 per month and $24.9 per year. SurfEasy VPN has over 1000 servers in 28 different locations including Canada, Australia, South Africa, Denmark, and the USA. It offers AD tracker Blocker algorithm which intercepts the cookies that advertisement uses to follow you online while you are visiting different sites. It also protects your IP address, location while torrenting and hides your information with blazing fast download speeds. SurfEasy offers both a free VPN service and a Premium subscription. The free service includes a data usage of the only 500MB and is protected by OpenVPN protocol as well as 256-bit encryption. Some of the major features include – No Leaks or Malware, Netflix Unblocking, Torrenting, Tor Compatibility. The only downside is the USA jurisdiction and slow browsing speed. Security – While using a VPN your actual IP address is hidden, you can even have a new IP address from another country. This will make search engines or your school won’t be able to track your behavior and can’t spy on you. Bypass Blocked contents – VPNs Will allow you to bypass web filters which may be placed on your School or at work. If the website is blocked for some reason now while using VPN you can instantly have the access to the blocked website again. Bypass Geo-Restricted websites – VPNs Will allow you to access certain content which is restricted in your country at all like the great firewall of China. No matter where you are, you can reroute the traffic through another country and browse the content. Slow Speed – The data you are sending across the internet is getting encrypted and decrypted while you are receiving it through the secure VPN tunnel, might slow things down a bit and at the end, you will be getting slow internet speed. Cost – There are Few free VPNs available but the secure ones will charge you upfront for using their servers or will charge you after you have used the amount of limited data. The VPN isn’t an internet connection, it is a just a secure way to access the internet. The VPN is really easy to use even if you are a normal user. VPNs are only secure if the VPN provider is trustworthy if you are using a VPN provider that you do not trust then you should connect to it’s VPN at all. You are transferring all your data through a single tunnel and if the tunnel is not trustworthy then you must be putting your data at risk.